Linda Lang is an internationally acclaimed expedition and climate change artist whose paintings are based on the knowledge she gained from her Inuit friends, scientists and over a dozen expeditions to the Polar Regions. She first travelled to the Arctic in 2002 with her mentor Doris McCarthy. 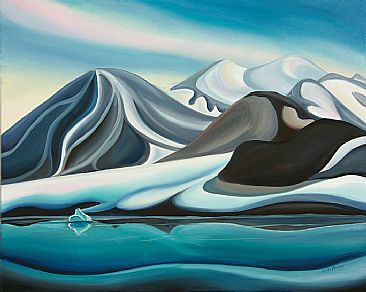 Linda's paintings reflect a profound appreciation for Canada's High Arctic and the devastating effects of global warming, on its fragile, yet extreme, ecosystem. Her paintings channel deeply felt experiences of travelling and working in the Arctic, feeling its raw, potent energy.